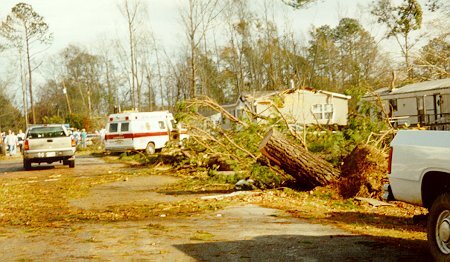 These pictures represent other damage noted in the Dalewood area. 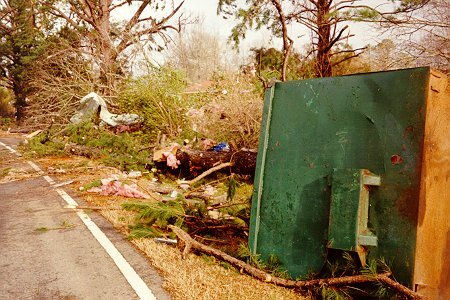 A turned over dumpster, with nearby debris. I am standing on Lauderdale-Toomsuba Road. 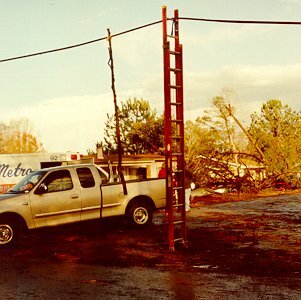 A ladder used to hold a power line up, so that traffic can move underneath. 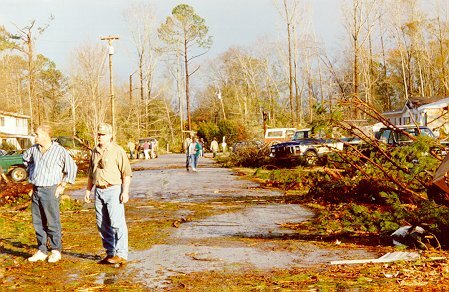 Looking across Lauderdale-Toomsuba Road from the destroyed Bolen's Store at downed power lines and other debris. This is about 1/4th of a mile up from Minnow Bucket Road. 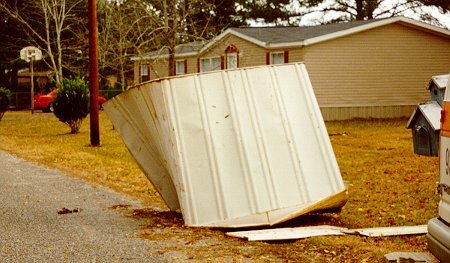 This shed wound up here, next to the street in someone's front yard. Looking down a local street in the Dalewood area. Another view down the same street. The stump in the foreground is what's left of a tree that fell over, and was sawed off to clear the street for emergency vehicles.